Now, when you purchase 12 Y-DR8+ bottles, you get another one FREE! 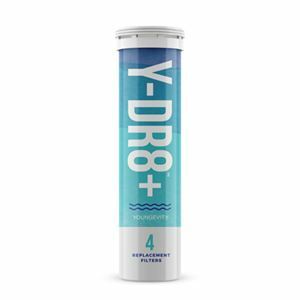 Y-DR8+™, Youngevity’s most anticipated new product, is an on-the-go hydration and filtration system that will not only filter municipal tap water, but it will also save you money and is eco-friendly! 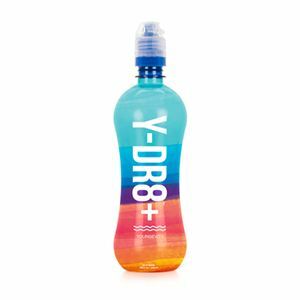 Youngevity Y-DR8+T Water Bottle - Buy 12, Get 1 Free Now, when you purchase 12 Y-DR8+ bottles, you get another one FREE! 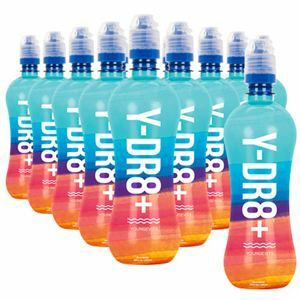 Y-DR8+T, Youngevity's most anticipated new product, is an on-the-go custom hydration and filtration system. Designed to improve the taste and odor of municipal drinking water, saving you money and help save the environment from single serve water bottles. Y-DR8+ proprietary custom hydration system allows you to filter Y-DR8+ municipal drinking water, providing better-tasting municipal drinking water, and helps reducing the following chemicals: chlorine, herbicides and pesticides from municipal water sources. The Bottle is designed for multiple uses. A single Bottle could replace up to 300 water bottles thrown into landfills and oceans.